Why are your plants not blooming? You enjoyed your plant’s beautiful blooms, then they went away. 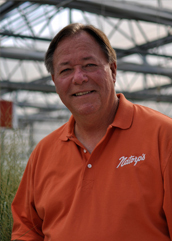 We asked Natorp’s growers to share their tips for keeping your plants blooming. Right plant / right place: Make sure you have the right location for your flowering plants (the sun, part sun, shade, part shade as well as cool or hot), and the right soil conditions (loamy, well-drained, dry, moist, etc.). Make sure the soil is alive and well: You are what you eat, and your plants are what they grow in. Feel free to amend the soils with compost, rotted manures, pine fines, organic matter, etc. Nutrients in balance: Make sure the pH levels are correct and check those nutrient levels. When adding plant food to the soil, be sure to not overfeed, especially with applying nitrogen. Too much nitrogen can encourage more new growth than needed, which may not produce flowers. Even-balanced plant food or a bit lower in nitrogen is usually good. For most annuals, roses and some perennials, feeding the plants will be done throughout the growing season. Be sure to plant the plants properly (depth, location, etc.). If you’ve covered these first four critical steps, the plants should perform nicely and flower as you had expected. But do read on for a few more tips. One of the most important ways to help encourage more flowers is through deadheading and pruning of the plant. By removing the old flowers, the plant not only looks better, it stops the plant from trying to set seed (which also stops flowering). If you lightly prune them, it encourages new growth. Deadheading can be done by simply pinching out the old flower using your thumb and forefinger, or by using small scissors or pruners to clip off the old flower and part of the immediate stem below it. If the flower (or flower clump) is on a long stem above the foliage, remove the entire stem at the base. 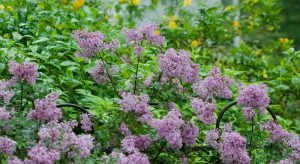 For masses of perennials and sometimes annuals that need deadheading, hedge shears can be used to shear off all the old flowers, shearing back into the foliage. Deadheading will be your best gardening practice when trying to keep those flowers coming on! Enjoy your blooms!